The Naked Self: Kierkegaard and Personal Identity is out! 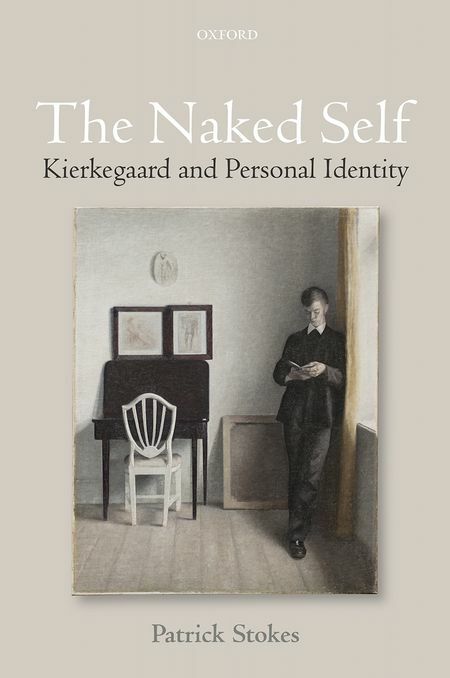 I’m absolutely delighted to say that The Naked Self: Kierkegaard and Personal Identity has now been released in Europe. It should be available in the US and via Amazon in the next couple of months. Across his relatively short and eccentric authorial career, Søren Kierkegaard develops a unique, and provocative, account of what it is to become, to be, and to lose a self, backed up by a rich phenomenology of self-experience. Yet Kierkegaard has been almost totally absent from the burgeoning analytic philosophical literature on self-constitution and personal identity. How, then, does Kierkegaard’s work appear when viewed in light of current debates about self and identity—and what does Kierkegaard have to teach philosophers grappling with these problems today? The Naked Self explores Kierkegaard’s understanding of selfhood by situating his work in relation to central problems in contemporary philosophy of personal identity: the role of memory in selfhood, the relationship between the notional and actual subjects of memory and anticipation, the phenomenology of diachronic self-experience, affective alienation from our past and future, psychological continuity, practical and narrative approaches to identity, and the intelligibility of posthumous survival. By bringing his thought into dialogue with major living and recent philosophers of identity (such as Derek Parfit, Galen Strawson, Bernard Williams, J. David Velleman, Marya Schechtman, Mark Johnston, and others), Stokes reveals Kierkegaard as a philosopher with a significant—if challenging—contribution to make to philosophy of self and identity.